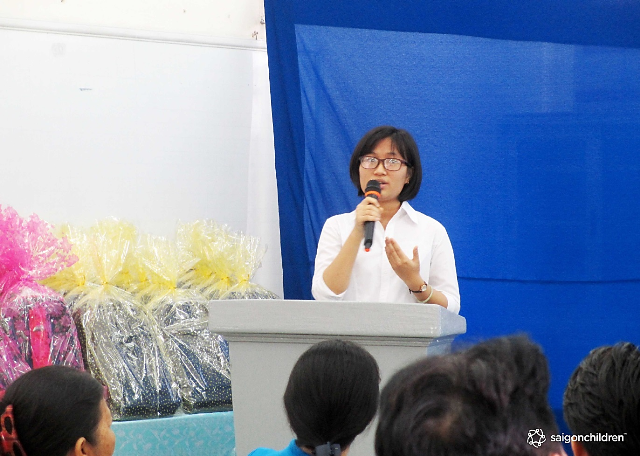 Long English and Vocational School (Thang Long School) held the closing ceremony of the 2017 academic year. 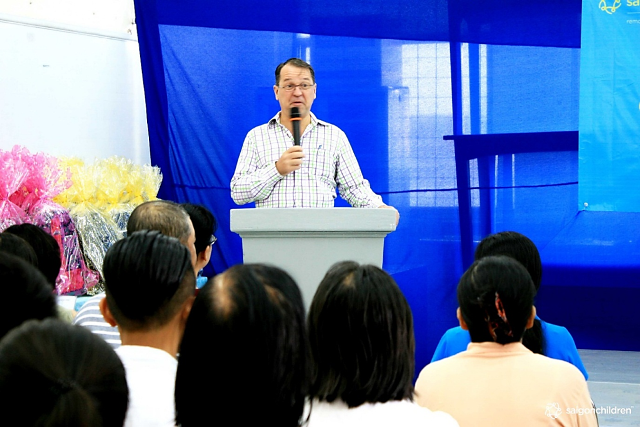 On this occasion, guests included Mr. David Appleton – a representative of saigonchildren – as well as members from the management team of saigonchildren, Thang Long School Board, all teachers, volunteers, students, and parents. 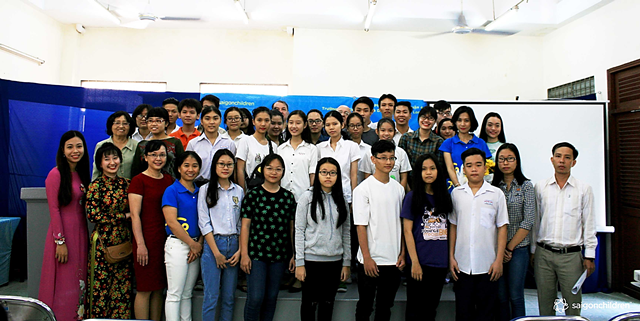 During this past academic year, Thang Long School has organized many English, Computer Science, Painting, and Modern Dance classes for 549 students, which is 117% the targeted number. Aditionally, the school also held many life skills courses, such as camping and social activities to enhance the students’ soft skills and social responsibility. 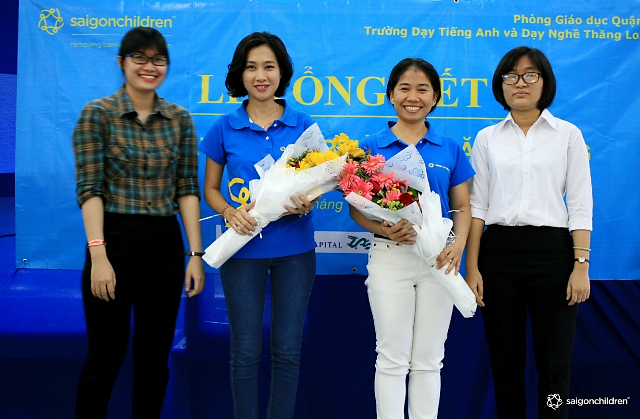 Throughout the year, all of the vocational training classes received great support and encouragement from kind donors and enthusiastic volunteers to improve the teaching quality for students with disadvantaged backgrounds. The closing ceremony is also an occasion to reward the students that have excellent results to encourage them to keep trying in order to reach their full potential and achieve their dreams. 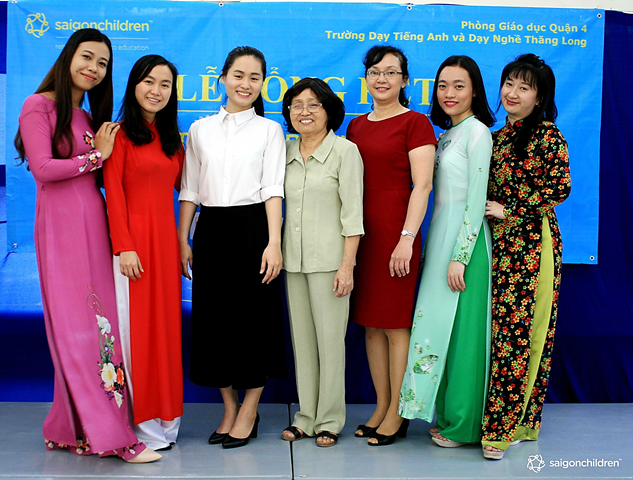 In 2018, Thang Long English and Vocational School will continue to open vocational courses to support disadvantaged children. Program enrollment starts in May and November annually.